This is the first side hustle that my husband and I teamed up on and it has been amazing. If you and your spouse have dreams of financial freedom, then real estate MUST be on your radar. There are a lot of ways to invest in real estate and you want to plan before you jump into it, but there are two overarching paths to take: buy properties with the intent to rent or buy properties with the intent to sell (flipping houses). There are ups and downs to each path. Money, time, location, and experience are all big factors. BUT – that’s part of the fun! You and your spouse will learn a lot together. You can team up on everything, or divide and conquer. If you play your cards right, this side job has the potential to transform your life. Every day that passes I love blogging more and more, so it should come as no surprise that this is my second favorite side job that you can do with your spouse – start a website together! Websites and blogs are perfect side hustles for couples for various reasons. You set the hours, the tasks and materials are easy to divide or team up on, and the directions you can go with your site are truly endless. If you can find a niche topic that you are both passionate about, then that is the direction you should go in. Try to find a unique and fun angle and get started! The hardest part is just hitting GO. This is yet another side hustle I’ve done with my spouse and the best part is that the income is truly passive. So once you’ve created your products and published them for sale, you can run off and work on other great ideas. Here’s how it works: Open an account on one of the various POD sites (I use Zazzle and RedBubble and love both…and both are free to sign up, so you have nothing to lose). Create a design or image that you think people will like. If you’re great at graphic design, then don’t hold back. If you’re not, then don’t worry – think about things like quotes or funny designs. Upload your design to the site and place it on various products you think it will work well on – things like T-shirts, coffee mugs, or iPad covers. Once your product looks good, hit publish! Aside from the passive income, another thing I love about doing this side job with your significant other is that you can divide the tasks according to what each of you loves to do. There are different components to it, so you may be surprised to find you’re a perfect team! Just like you would use a POD site for quotes or graphic design, you can use them for your photography! Doing this side job with your spouse has an extra special component because you can spend time taking pictures together which has the potential to take you to a lot of fun places. In addition to POD sites, you can also sell your photography on stock photo sites. As images become more and more important online, these photos become higher in demand. Here’s another side job you can do with your spouse that has the potential to turn into something incredible – open an Amazon FBA Store. Amazon FBA Stores enable you to sell items on Amazon, but without having to deal with the fulfillment process (FBA = Fulfilled by Amazon). This means you don’t need to ship your product, charge your customer, or deal with the returns. All you do is ship your products to Amazon’s mega-warehouse and leave the rest to them. 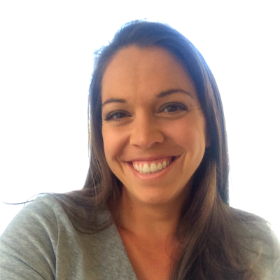 While my husband and I haven’t opened our own FBA store yet, it is at the top of our list and I’m itching to jump on board. One of the greatest success stories is of Jessica & Cliff – a married team that turned this side hustle into a dream job…together. 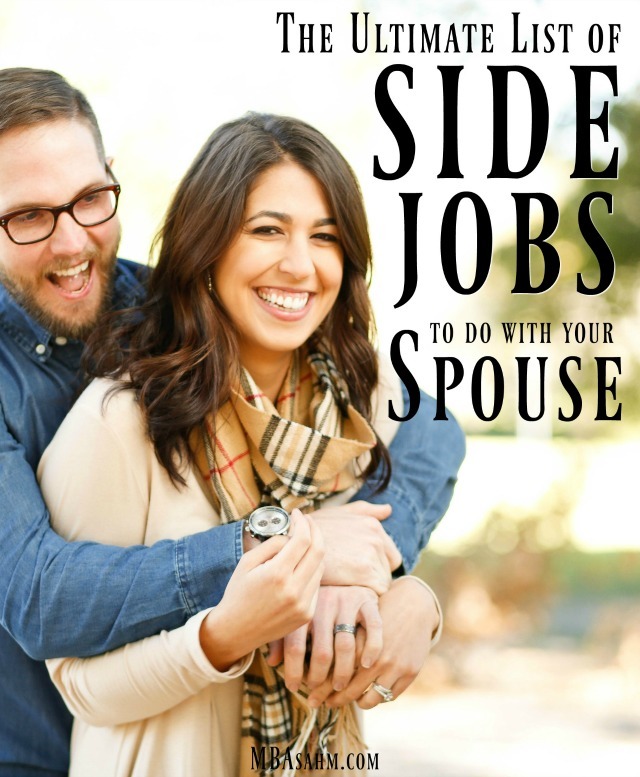 They’ve documented their story and now provide tips and webinars for other couples that want to try out this side hustle, so check out their site if you think this is the perfect side job for you and your spouse. 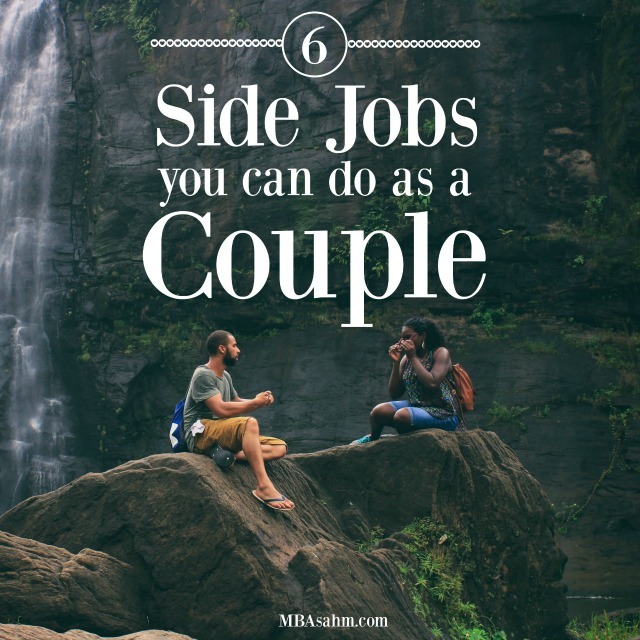 I hope some of these side jobs for couples sparked your interest! I love hearing about different ways to make money with your spouse, so please let me know what has worked for you and your significant other. Good luck to both of you! Great ideas! You do such a great job organizing your posts.